One doesn’t normally expect to sustain personal injury when checking into a hospital or other medical facility, but unfortunately a significant number of patients are wrongly harmed or die every year while receiving medical care in the United States. And the perplexing death of one San Francisco hospital patient has left questions unanswered, including whether medical malpractice was involved. As reported by the San Francisco Chronicle, the body of Lynne Spalding, 57, was found by a San Francisco General Hospital employee in a stairwell about 10 a.m. Tuesday. As shocking as the discovery of the body of the mother of two and native of England was, the fact that Spalding was reported missing from the hospital more than two weeks before adds to the bizarre nature of this story. Spalding was last seen at SFGH on the morning of Sept. 21, two days after she was admitted to the hospital for complications resulting from an infection, and she disappeared from her room during a scheduled check by hospital staff on that day. Spalding’s friends have speculated that she may have been disoriented as a result of medication for her condition, and the San Francisco medical examiner’s office is attempting to determine the cause of her death. While the exact cause of Spalding’s death remains to be determined, one thing that is certain is that SFGH had a duty of care for her and would be responsible for any incompetence on the part of hospital staff that led to her injury or death and that any such negligence would be the basis for a medical malpractice lawsuit. Typically one of the questions involved in a medical malpractice lawsuit against a hospital is whether the attending physician or physicians of the harmed patient is or are considered hospital employees or contractors, a factor that may impact the hospital’s liability. The tragic death of Spalding stands out as grim example of when things go wrong at a hospital and may very well have been avoidable, but preventable errors at medical facilities include a wide range of never-should-have-happened phenomena, such as sponges left inside surgical patients, administration of improper medications, use of contaminated equipment and other types of mistakes. And it may come as a surprise to many, but medical errors are an increasingly deadly occurrence in the United States. According to a recent report in Forbes magazine, 1999 statistics showed that 98,000 people were dying every year from preventable errors in American hospitals. However, the magazine goes on to say that a new study reveals that as many as 440,000 – or four times as many – people die from preventable medical errors in the United States. Putting the new numbers in perspective would mean that medical errors are now the third leading cause of death in the United States, more deadly than auto accidents or diabetes but in line behind notorious killers such as cancer and heart disease. Another disturbing fact that came to light this year concerns the record of hospital care in the San Francisco Bay Area. 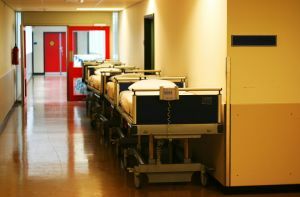 While Bay Area hospitals generally get high marks for keeping patients alive, at least half of all the region’s medical institutions posted worse-than-average death rates in one or more medical procedure or patient condition in 2010 and 2011, according to a recent report in the San Jose Mercury News. SFGH was among the many regional hospitals that registered worse-than-average death rates in some categories compared with the state average. The preceding facts are as unacceptable as they are shocking and of great concern to San Francisco medical malpractice attorney Gregory J. Brod. He and his experienced colleagues urge anyone either for themselves or a loved one who has been injured or died due to the negligence of a medical provider to contact the Brod Law Firm for a free consultation.